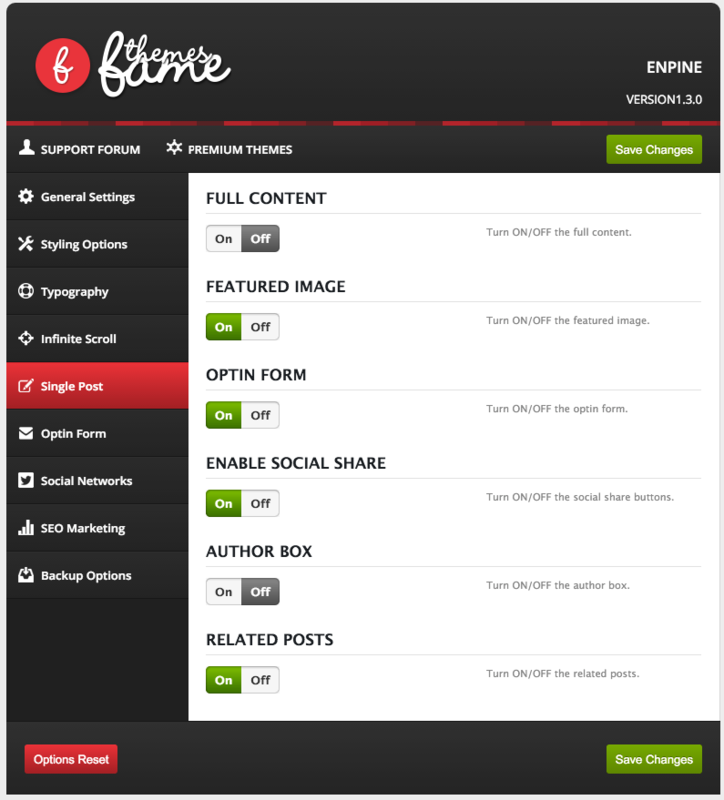 Once you have activated Enpine theme you should take a few minutes to read over and configure the theme options page. 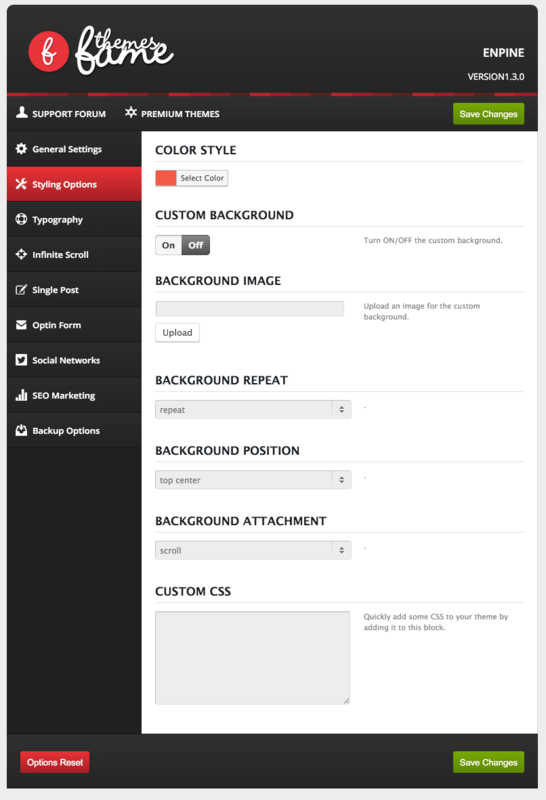 The configuration of the theme options page is Required for the theme to function properly. 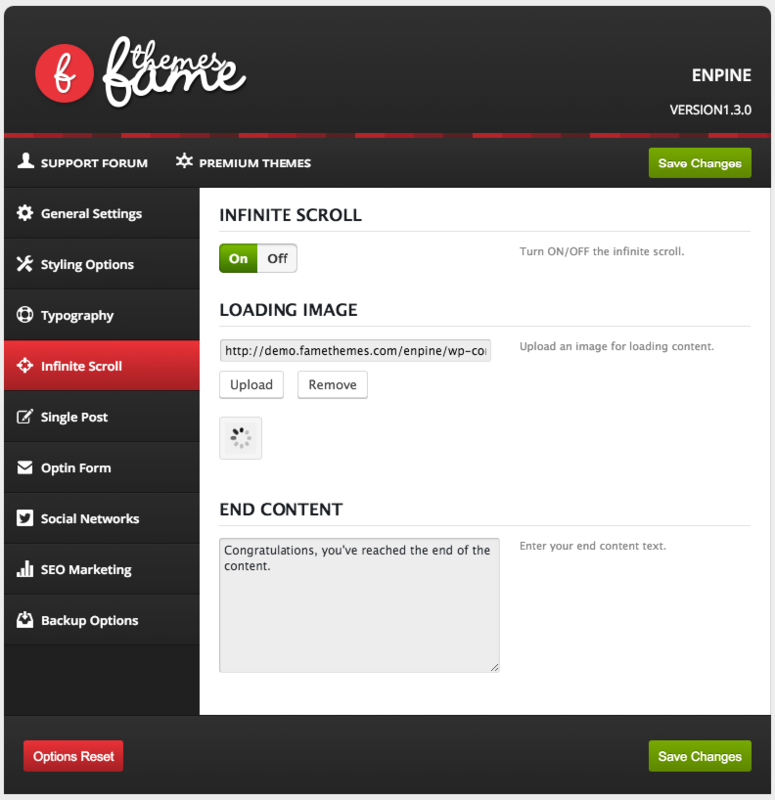 Click FameThemes on the left menu to load the options page. 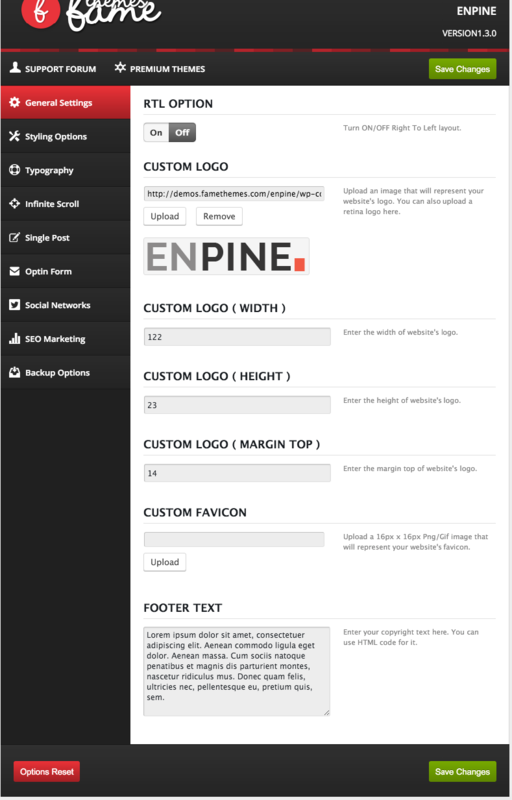 The Enpine theme comes with 6 custom widgets that can be used to configure how your site displays content – they can be found under Appearance > Widgets. Here is the video how to manage widgets on WordPress: https://www.youtube.com/watch?v=vQ5cXm4pMhY. 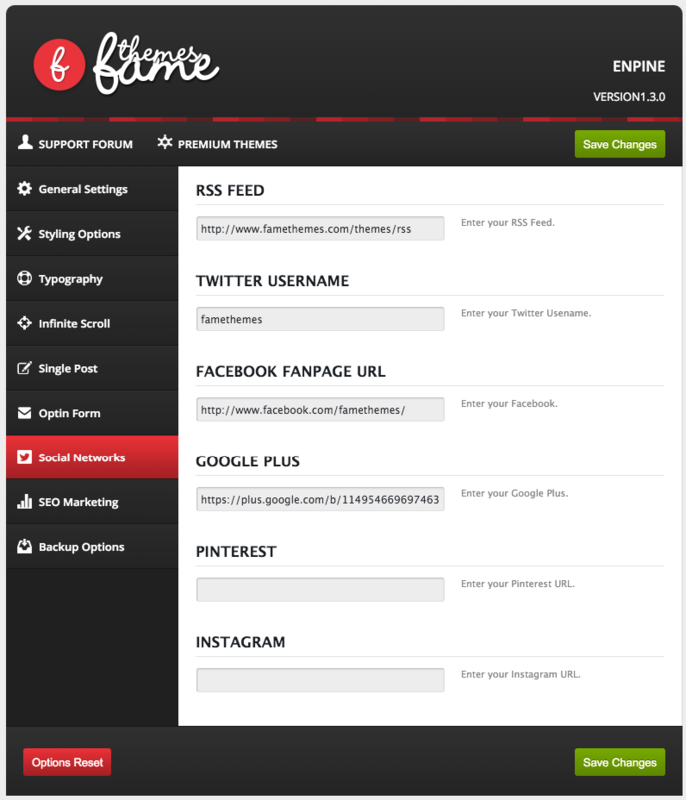 This widget allows you to show your random posts in widgetised areas. 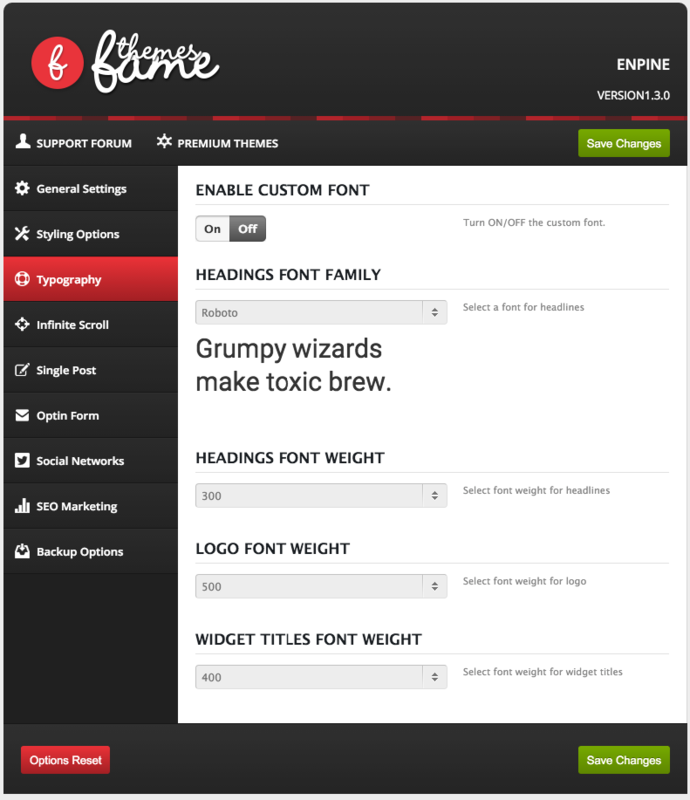 The 70% Width template allows the creation of a page without a sidebar. 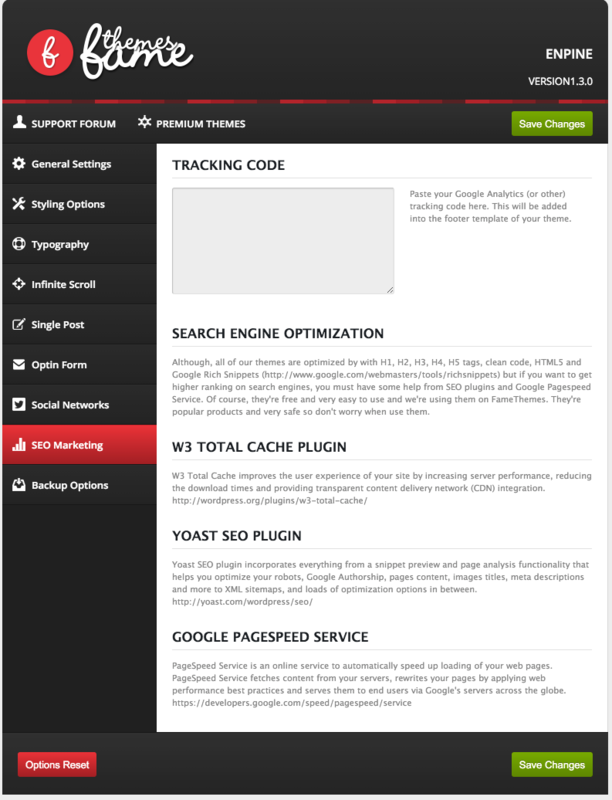 The main content will span 70% width of the site. 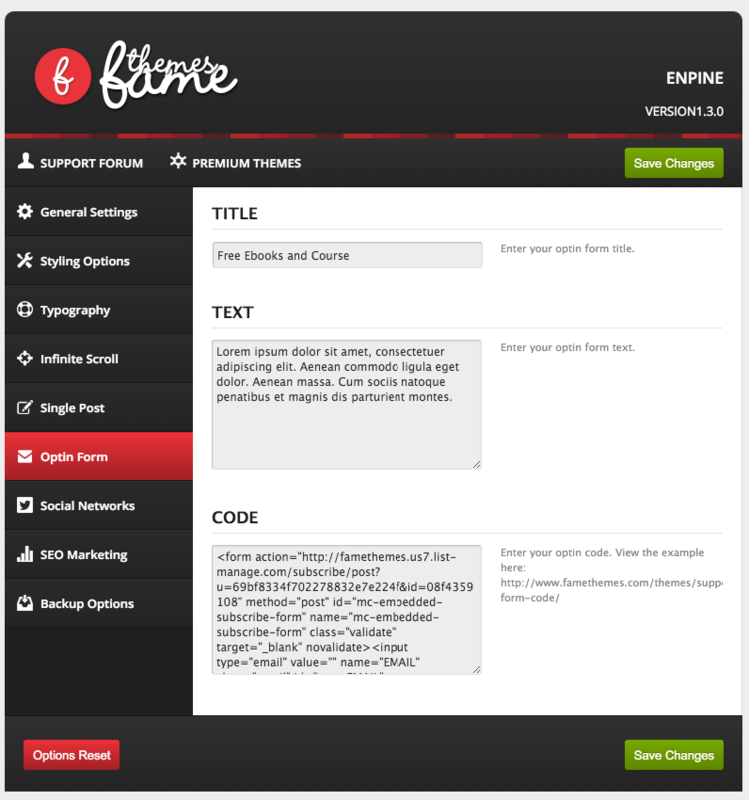 We use FameShortcodes plugin to handle shortcodes in all our themes, you can download it in member area.